Do you like the way the (whammy nominated) Bitter Liberals CDs look? 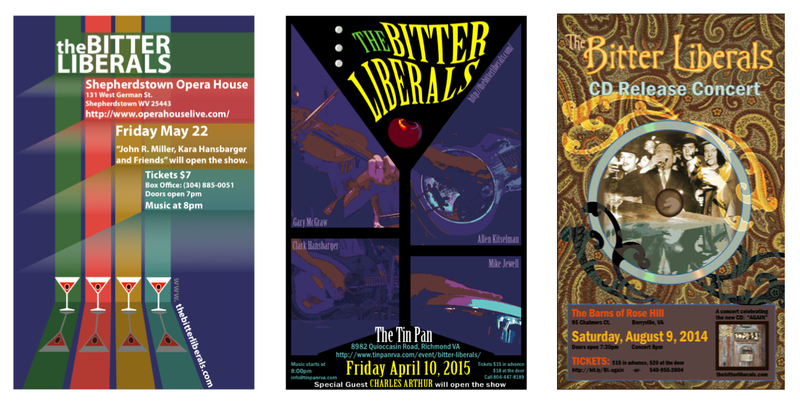 How about those cool posters for all of our gigs? And that Bitter Liberals sticker you have on your car? 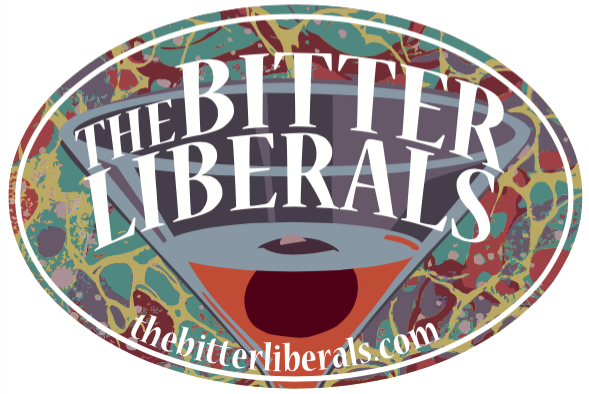 All of our original Bitter Liberals art is created by April Claggett, an artist from New Hampshire. Some of you may also know that April is Rhine Singleton’s wife (of Where’s Aubrey fame). April is raising funds to devote herself full time to her art. 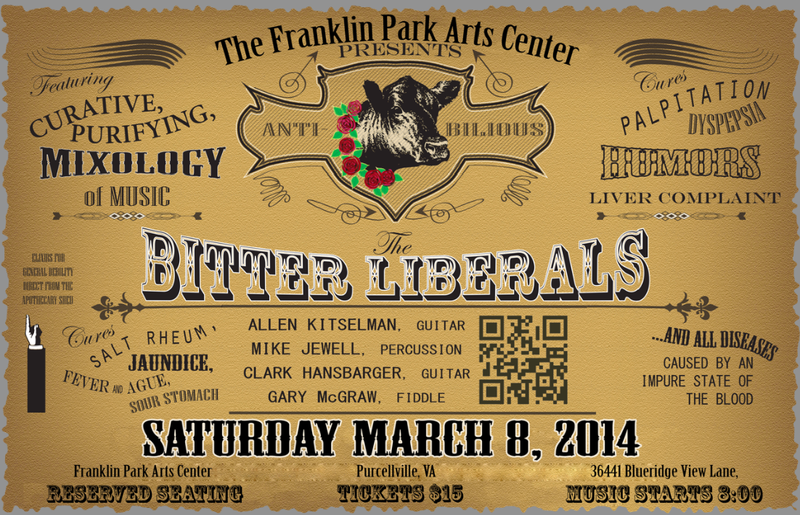 We hope that as Bitter Liberals fans you will help. Thank you! This entry was posted in 13, Again, art, CD, photography, poster, who knows and tagged april claggett, bitter liberals, bitter liberals art, CD covers, donate, kickstarter, posters, rhine singleton, sticker, whammies. Bookmark the permalink.